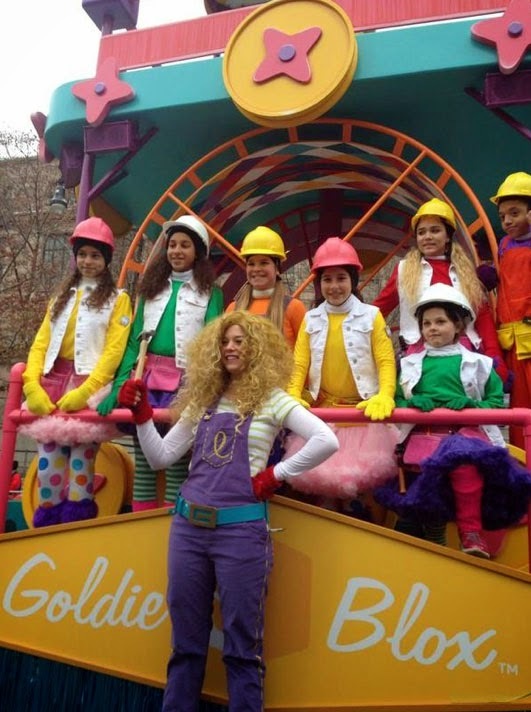 I got a really cool opportunity to make the Goldie Blox overalls that were part of the character's costume for the Goldie Blox float in the Macy's Thanksgiving Day Parade 2014. It was an interesting project, turning an action figure's painted on outfit into a real costume that an actress would be wearing on a float. 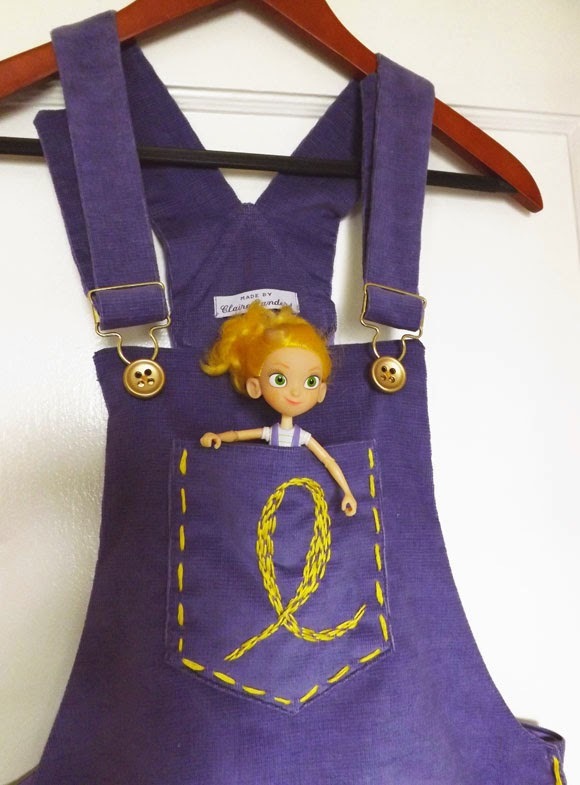 It took me awhile to try to find a right purple color to match Goldie's overalls. 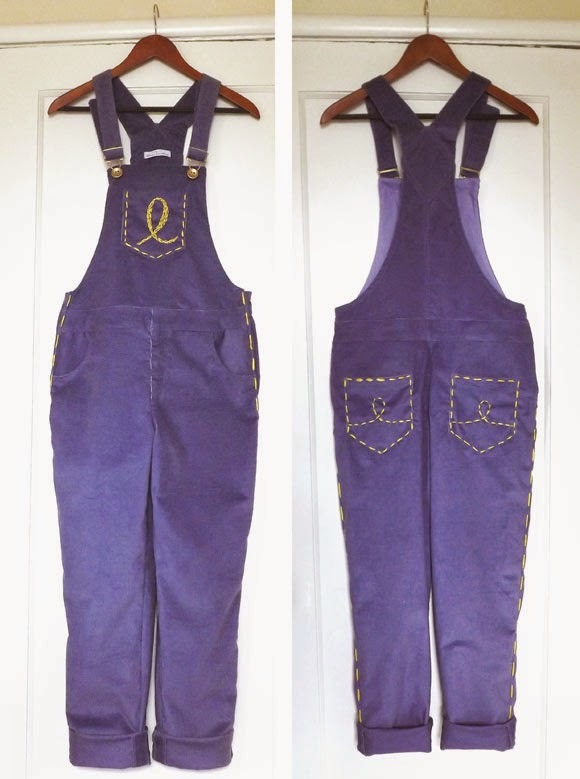 I didn't have an overalls pattern, but I started with existing pants pattern then added the bib and straps. The stitch lines are embroidered by hand with the side stitches using 4 thick strands of embroidery floss to stand out. On the side opening I ended up adding a pants hook because I didn't want the snaps to pop open since Goldie would be riding a bicycle that powered her awesome spinning machine float. 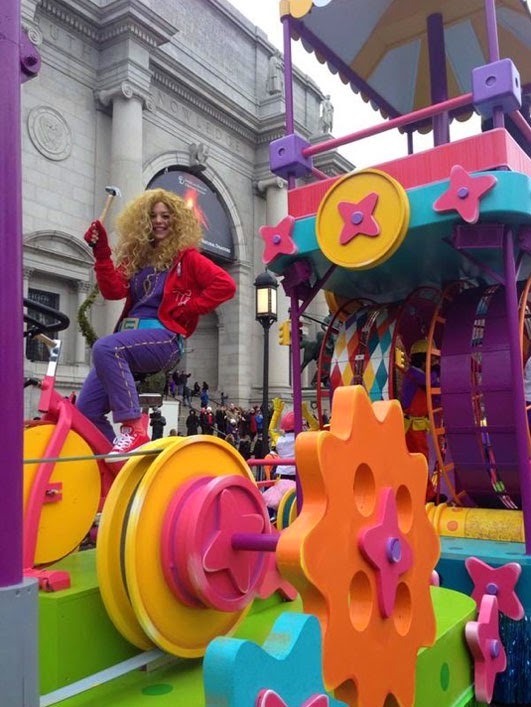 I ended up finding a corduroy fabric with a little bit of stretch in it, hopefully the thicker corduroy kept the actress somewhat warm since it's cold on that parade route. That is so cool Claire!! Hello Claire, my daughter wants to be Goldie for Halloween! Do you know of any place where I can find her outfit or something close to it? You can check the Goldie Blox site to see if they have any costumes. Otherwise you may just have to cobble it together from preexisting pieces. 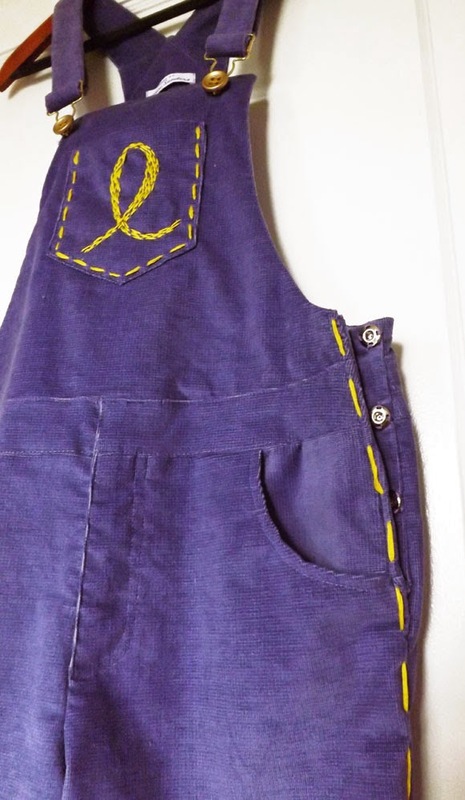 If you can't find purple overalls, you could find white ones and dye them and use fabric paint to add the stitching details.